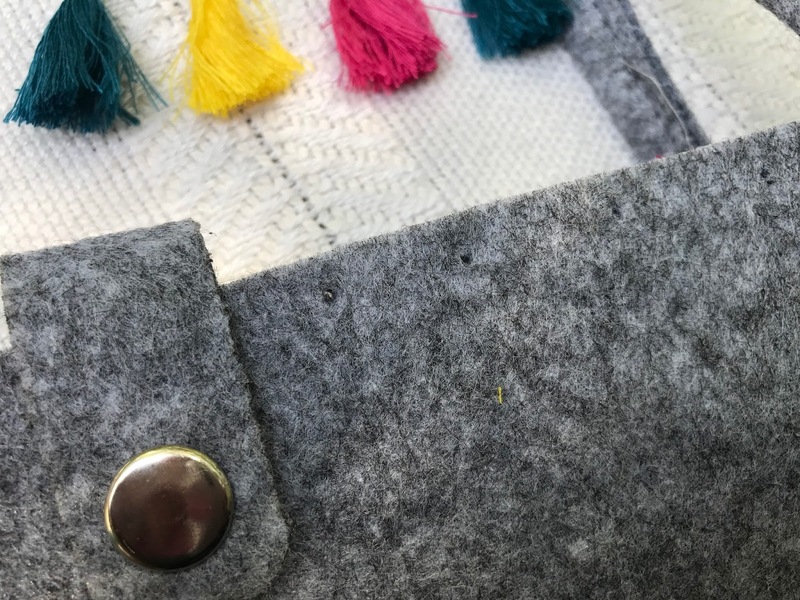 Tassels and pompoms. 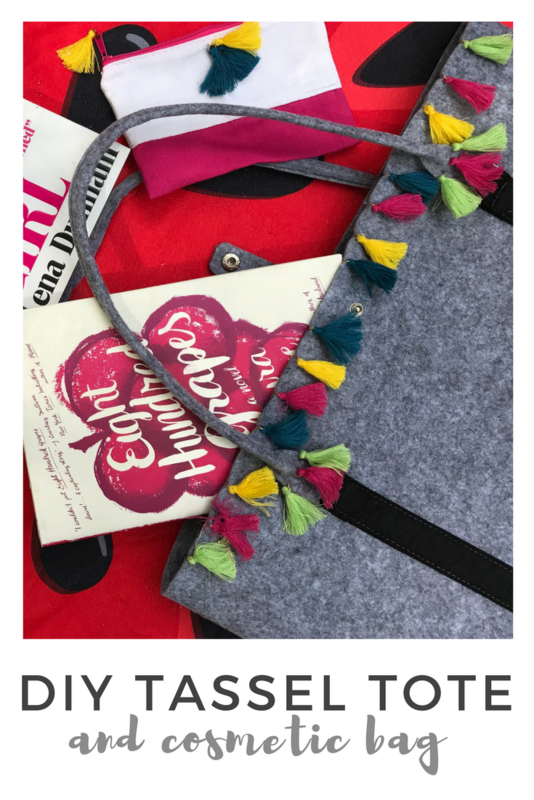 Pompoms and tassels. 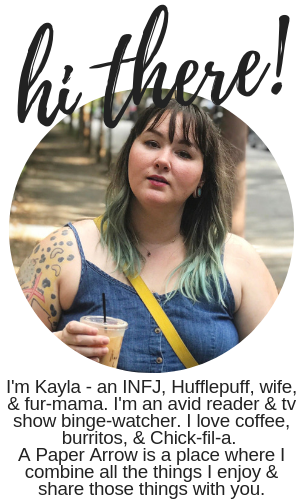 These trends are so in right now and I love them. They're so fun and cute - not to mention, perfect for summer. 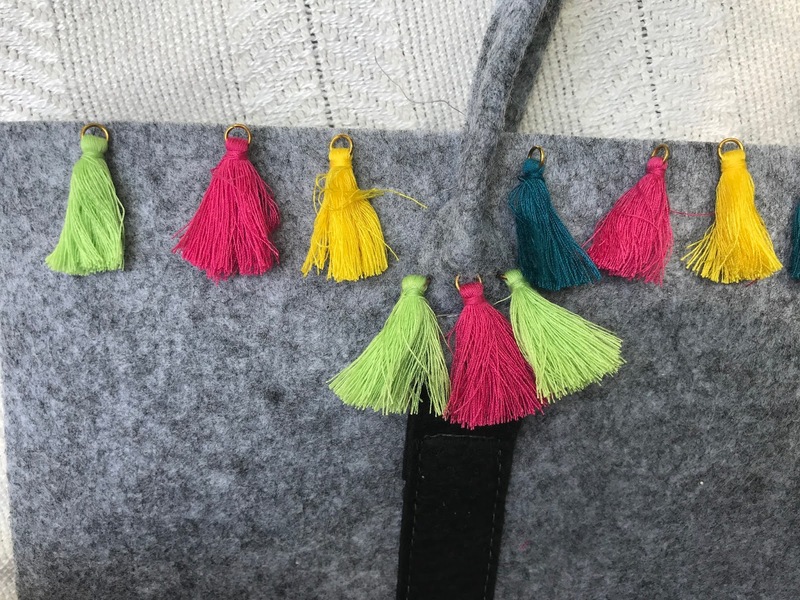 I've seen some tassel handbags and totes with price tags of upwards of $500 (what?). Instead, you can make your own, which is super easy and so cute! 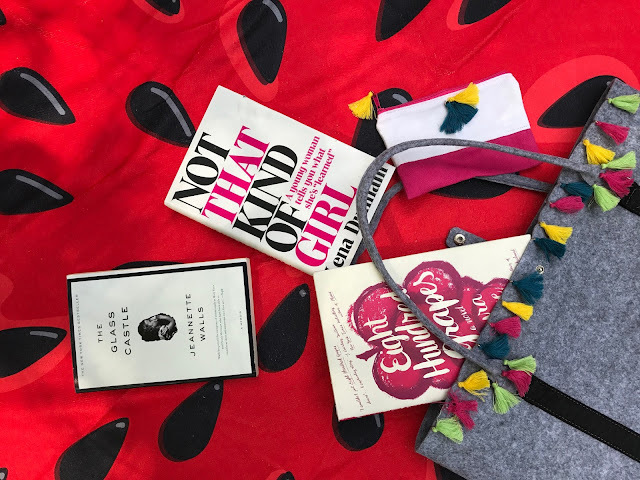 I will for sure be using my new tassel tote to carry all my books, for road trips, or for trips to the beach. Find out how to make your own below! 1. 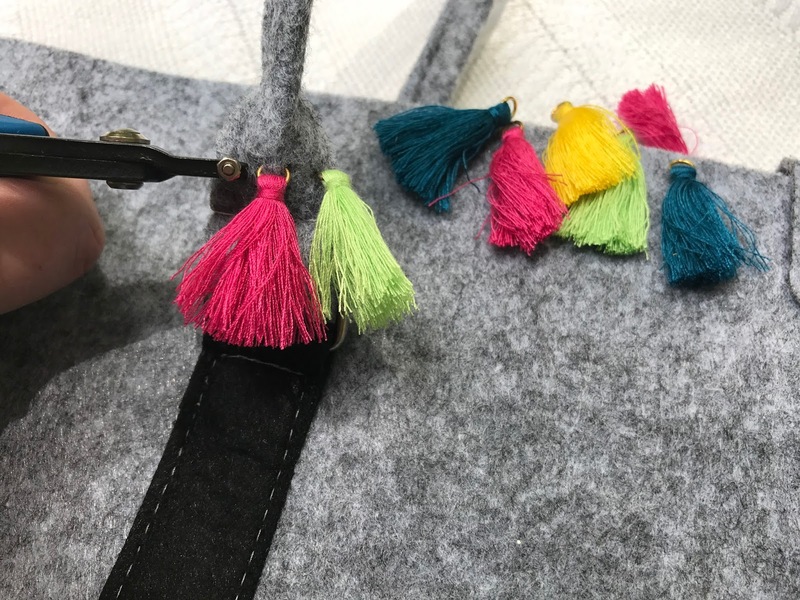 Lay your tassels out across your bag to determine which look you like the best. 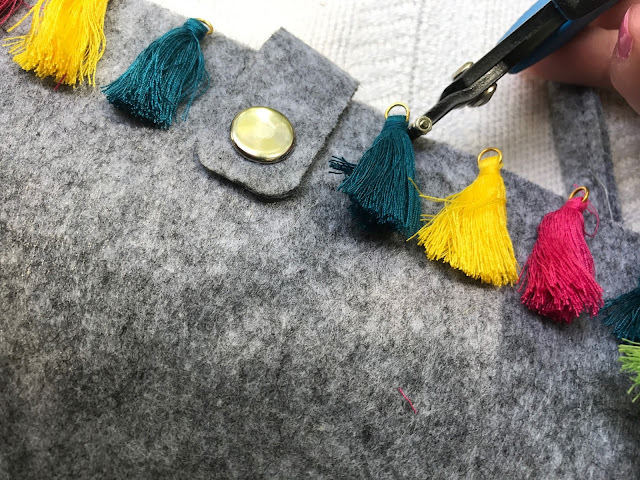 Once decided, use the Europunch tool to punch holes for your tassels. 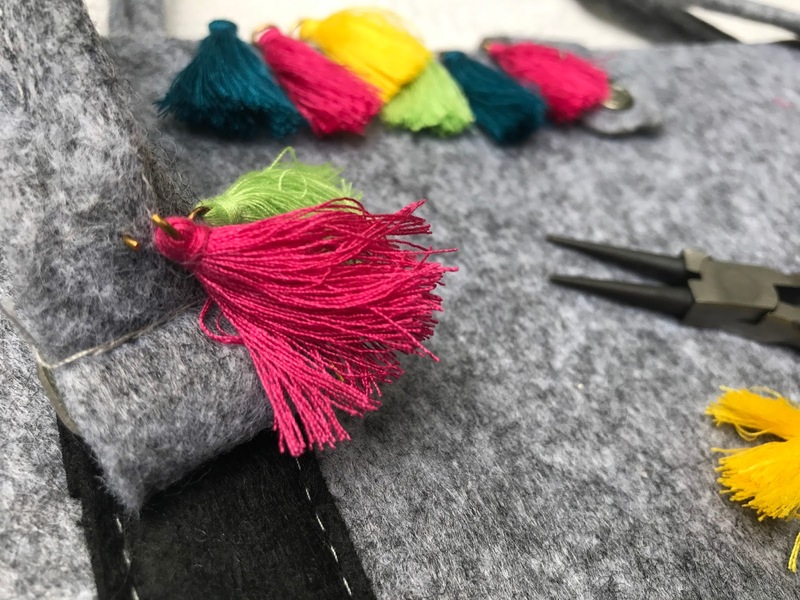 Holes should be about 3 mm away from the edge of the bag, to allow the tassel's metal loop room to close without pinching the fabric. 2. 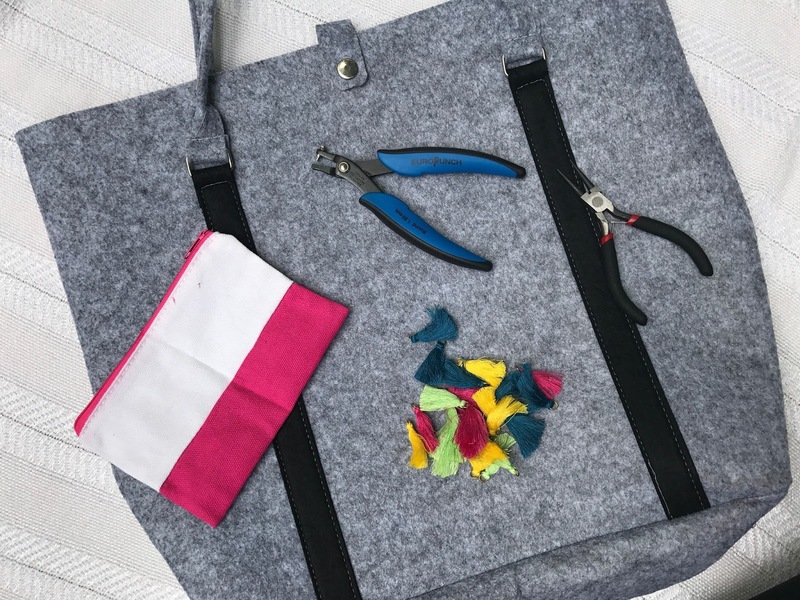 Using flat nose pliers, gently open the tassel's metal loop by moving it sideways (opening the circle outward will cause the loop to lose its shape). Be careful not to let the tassel slide off the loop. 3. Place the metal loop through the hole created with the Europunch tool, and close with the flat nose pliers. 4. Repeat steps 1-3 until all tassels have been attached. 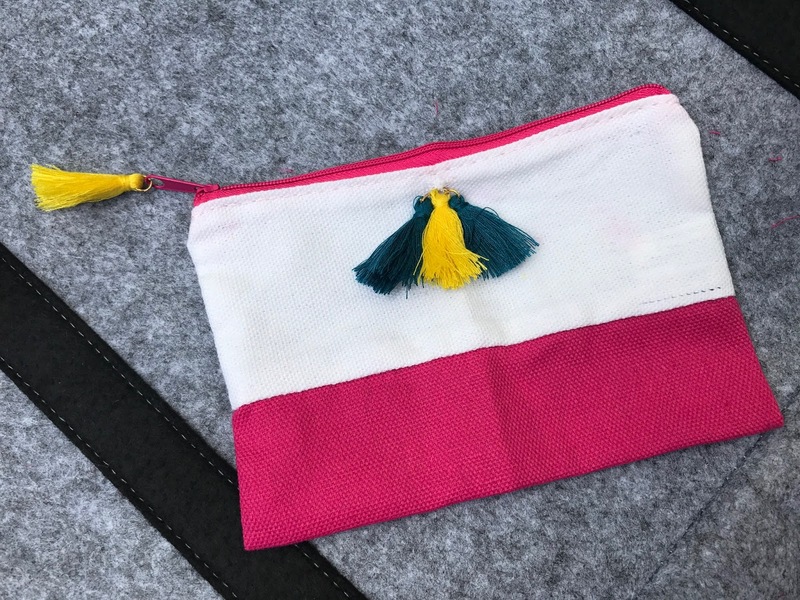 To create the matching cosmetics bag, attach your tassels using the same methods as above. 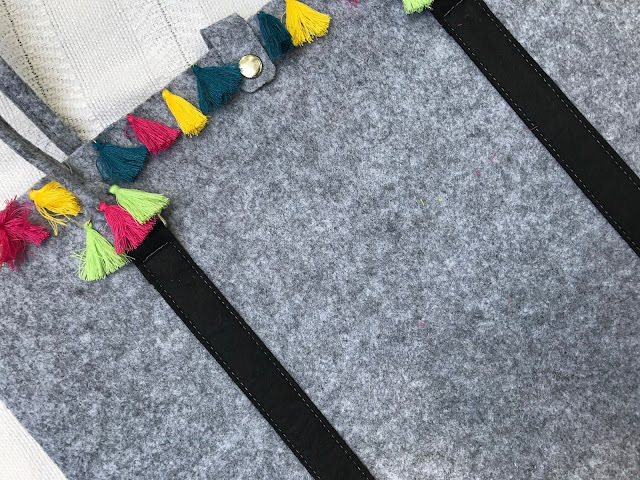 You can even attach a tassel to the zipper tag for even more cuteness! I can't wait to use my tote this summer - it will perfect for a trip to the beach or pool. And don't forget your beach towel. Are you enjoying the tassel trend? 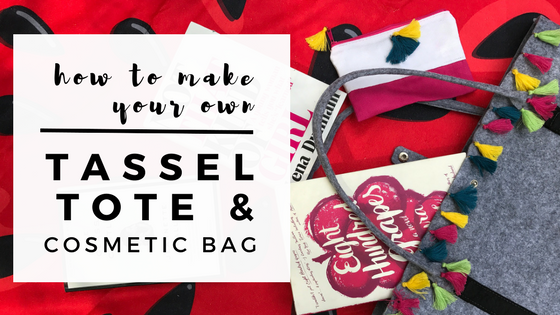 Where do you plan on toting your new tassel tote? This post was created in collaboration with Oriental Trading Company, however, all opinions are, as always, 100% my own. I love this!! It is so cute and looks pretty simple! YES! I love uncomplicated crafts. :) It was super easy to make, but I really love how it turned out! That's so cute! I wish I was as crafty since I never make anything myself because I know it would be a disaster lol.